Daphne Perfume Princess is a unique and enchanting daphne that should be on everyone's list of 'must have' daphnes. It's the earliest and longest flowering of all daphnes, with one of the sweetest fragrances, and is prized for its profusion of large blush pink (softly fading to white) sweet perfumed flowers. 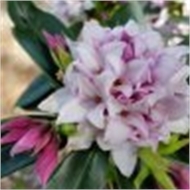 This is not just any ordinary daphne! 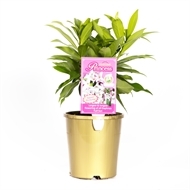 Daphne Perfume Princess offers a progression of large blooms along the stem making it a perfect choice to bring cuttings indoors and enjoy the alluringly sweet perfume. 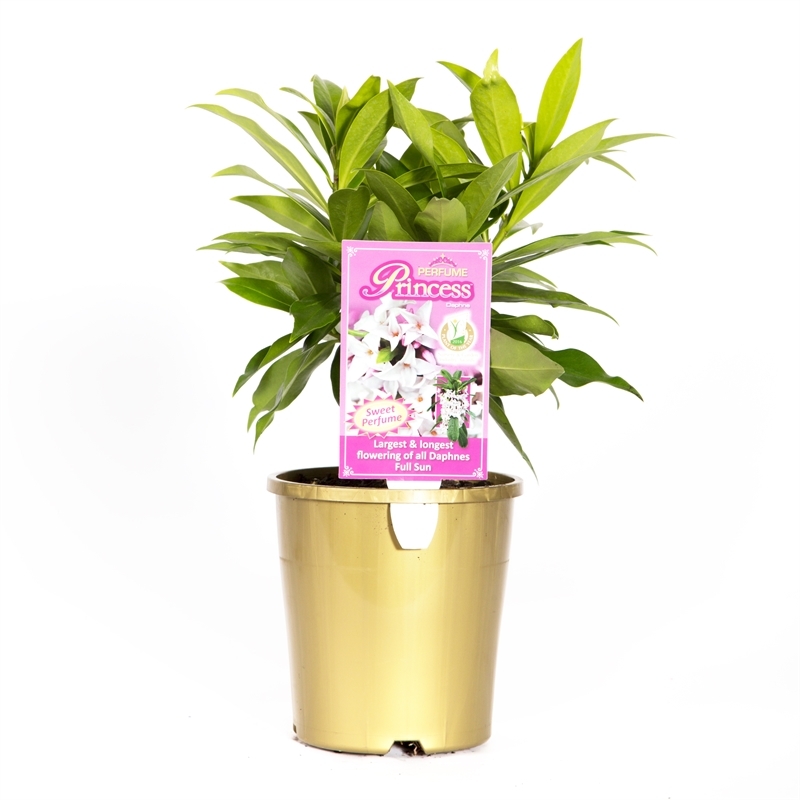 It is an excellent performer with upright and slightly spreading attractive evergreen foliage. 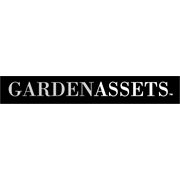 Positioned in the garden near a window, doorway or path, the sweet scent will add fragrance to your home and garden. 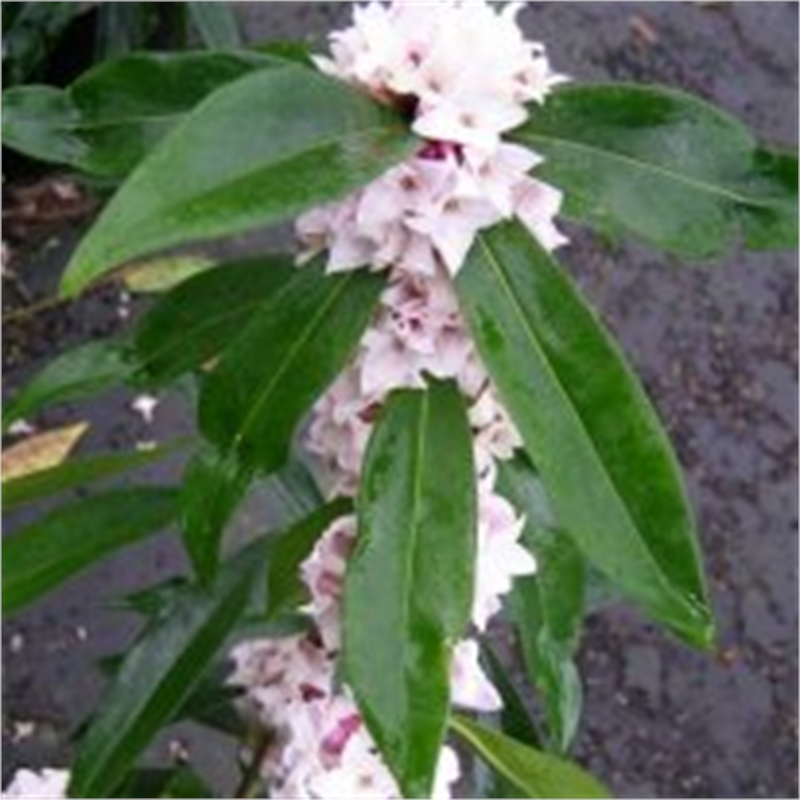 Daphne Perfume Princess flowers from mid-winter to late spring and is perfect for containers and in the garden. 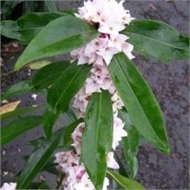 Daphne prefers well drained soil, and full sun to partial shade. Trim to shape as required and add a handful of controlled release fertiliser after flowering.